I currently owe approximate $250,000 of student loan debt. The majority of that debt is from law school. Which if I had actually enjoyed being a lawyer, would have been fine. But it turns out I prefer to be a happy person and practicing law was not conducive to my being happy. Meaning I kinda regret most of my student loans. However, I’d gladly borrow about $43,000 all over again. What did pay for with that $43,000? My undergraduate degree in mathematics (go STEM) and studying abroad in law school. Since I studied abroad after my first year of law school, I suppose logic dictates I shouldn’t regret the approximately $30k my first year of law school cost me. I should probably note, that I did not borrow $240k to pay for my education. I borrowed $193k, thanks to income-driven repayment and interest, I now owe more after five years of payments. When I was researching different colleges, I was extremely cost conscious. I ended up going out of state. However, it was cheaper for me to pay out of state tuition in Massachusetts than in-state tuition in California (where I’m originally from). I also worked hard to graduate in three years, knowing I wanted to go to law school and study abroad. I considered paying for studying abroad as paying for my fourth year of college. I graduated with my math degree in 2008, which was a pretty terrible time to graduate from college. It was ok, though, because I’d planned all along to go to law school and at the time law school was still considered a good investment. The recession didn’t really hit the legal market until 2010/2011. I got lucky once again and graduated in 2011. 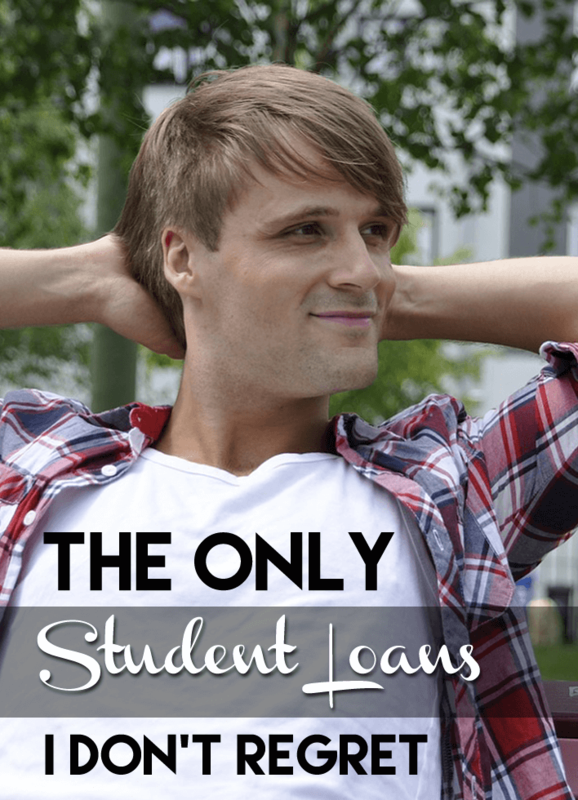 I don’t regret the loans I borrowed for college because overall they weren’t that much. They were about the average for college graduates in 2008, $23,000. If I had pursued a career with my math degree, likely actuarial science, I would have paid them off fairly quickly on a standard repayment plan. Actuaries make bank; the average starting salary is between $45,000 – $50,000. With the average salary, overall is $107,000. By comparison, with a lot more debt, the average starting salary for a lawyer (though not in 2011) is $76,000 and an average overall salary of $130,000. While the job market wasn’t great when I graduated from law school, I’d figured out about half way through law school, that while I really love the law, I didn’t want to practice. I stuck out law school because I figured it would be better to finish the degree. It turns out I was wrong, at least financially. Hindsight is a great thing. I’m still kind of dumbfounded at how money-conscious I was when looking at earning my bachelor’s degree but then kind of lost all common sense when it came to the cost of law school. The thing is, law school is really, really hard, and incredibly overwhelming. The fact that they tell you about the group, lawyers concerned for lawyers, at law school orientation says a lot. You’re told everyone takes out the loans, so it must be ok. It’s not. Living life as a lemming never really works out that well. It’s been an expensive lesson to learn. Besides the cost of law school after finally finishing my degree I ended up borrowing even more to study for and take the bar exam. I took out a bar loan of $11k to cover the cost of two exams (about $1k), travel expenses ($1-2k), the bar study program ($4-5k), and living expenses. Did I mention I regret these loans? I have always wanted to travel, and as a result, I always wanted to study abroad. However, it didn’t make much sense to do so during undergrad as a math major. Also, I was really young (20 when I graduated) in college, so I’m glad I waited until law school. I decided to wait until law school because I was primarily interested in international law, so studying abroad in law school was ideal. I spent ten weeks studying abroad in Santiago, Chile. During my study abroad program, I also traveled to Rio de Janeiro, Buenos Aires, Pucon, and Vina Del Mar (the home of Pablo Neruda). I met people who eight years later are still some of my closest friends. But like any travel, the true value lies in gaining a different perspective of the world and the way other people of the world see you and the country you’re from. I had very different professors, one a former JAG officer, another from Paraguay who loved everything about the United States, except democracy. My program was divided into two sections; the first was classes, the second was an externship, where I worked in the crimes against children unit. I learned about the legal culture in Chile on both the local and international level, which in a lot of ways is very different from the United States. I learned about the history of another country that I might never have known about since I never learned about it in school. Studying abroad also changed my perspective on what I thought I wanted to do with my life. I always thought I’d wanted to be a prosecutor. Studying abroad, and learning about the lawyers who had family members who were part of the disappeared and still defended those accused of the disappearances changed my perspective on defense lawyers (public defenders or otherwise), I’d work for either side. Being able to view the world another way and work with people who have different views from your own is a valuable skill. Interviewers have always commented about my study abroad experience on my resume, and I’m pretty sure it’s actually gotten me the job a few times. If it weren’t for the actual cost of studying abroad, and the loans I have to prove it, I’d say that the ability to study abroad is priceless. It’s really hard to say that if I could do it all over again I would, because I know I wouldn’t be here writing this post for you had I not been so terrible with money. At the same time, my life and finances would be so much simpler if I’d quit law school after studying abroad. I suppose my biggest regret isn’t finishing law school and taking the bar, but not finding a better way to pay for it and instead getting a ridiculous amount of student loans. If you’ve got a lot of law school debt, hit me up by clicking the button below. I bet I can help you save a lot of money. My undergrad was in engineering and I finished law school at about the same time and entered the same lousy job market. I definitely hate the debt, but I don’t think I would change it. However, I would be curious to know what my life would look like on a different path.